The Verticook vertical barbecue is a Belgian invention. 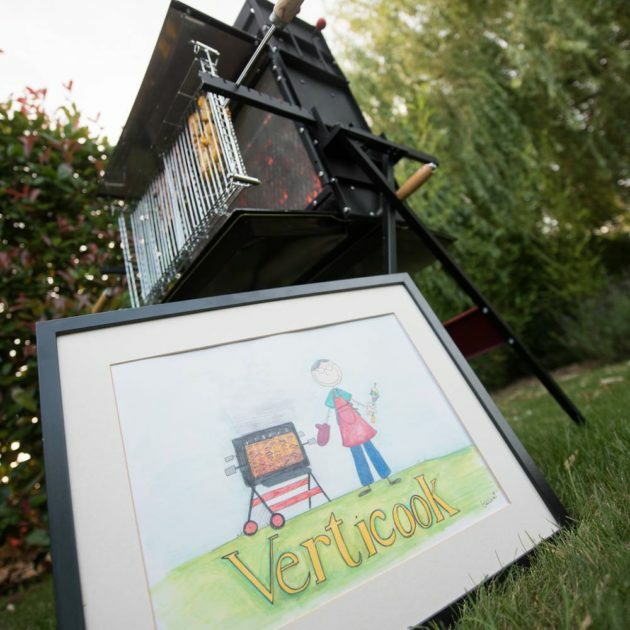 Verticook is a Belgian company dedicated exclusively to the development of an original and unique barbecue model. Innovation. Verticook invented an original lighting concept using a dedicated lighting chamber which is located on top of the vertical firebox, as well as the fire shield. These innovations are patent protected. Verticook is the only company on the market to offer such innovations. Design and manufacturing. Verticook has created and designed its unique barbecue model. It is manufactured according to very strict specifications for ensuring its robustness and reliability. Development. Verticook is constantly working to improve its products. Sales and distribution. Verticook manages its own stocks and distributes its products exclusively through the Internet. It does not own nor operate retail stores. The Verticook barbecue is thus not available through traditional distribution channels. Sould you need more information, please contact us.